Welcome to Ken's Web Page. Ken Smith is an artist specializing in sculptures and fountains made of copper and other metals. Original designs, unique construction methods, and high quality workmanship are characteristic of his creations. Ken utilizes recycled materials, supplies, and tools to conserve our planet’s resources. 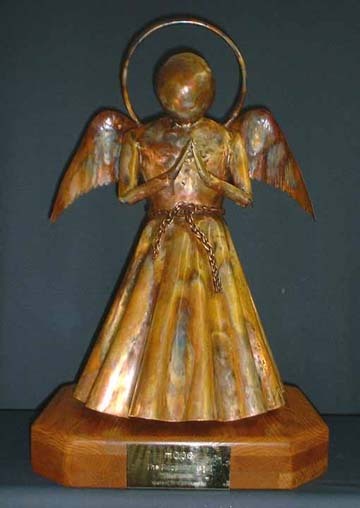 This two foot tall copper sculpture was commisioned in 2001. 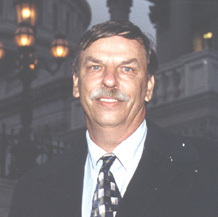 It was on display in the US Capitol Building for the 2001 Holiday Season.